Just a reminder to sit down with your family this week for your Thrive Devotion! Printed versions are at any location or use this online version. Our family was able to do ours after dinner on Wednesday night. We had a good discussion: In discussing what we enjoy about worshiping at church on Sundays, Danielle loves learning about God at church (discipleship), Noel loves serving in the kid’s ministry (service), Kaleb loves seeing and visiting with people (fellowship) and Niki loves helping to lead people in (worship) and I love participating in something so much bigger than me as all the people are working together to reach out (outreach) and change lives ! All these are the biblical purposes of the church and are a part of worship. There are other great discussion questions like this and I pray that you and your family have a great family devotion this week! Proverbs was written by King Solomon who the bible describes as the wisest of men. Solomon wrote Proverbs to teach us truths about life. “When the righteous thrive, a city rejoices” describes how godly people affect others in a positive way. Here’s the opposite: “when there are lots of thieves, dishonest, and violent people a city lives in fear.” But when there are people who love honesty, live to please God and help others a city and its people are happy. When we come to church on Sunday to worship God that is good; but when we live our lives for him the rest of the week, that is worship as a lifestyle which is even better. Righteous living makes a difference to those around us! Do you know someone that makes you happy to be around them? Who is it and why do they make you happy? In what ways do you enjoy worshiping at church on Sunday? In what ways can we live for God during the week that impacts other people’s lives? THRIVE CHALLENGE: Commit to coming to church every Sunday during the 28 day Thrive Challenge. Be an active worshipping and giving participant in each weekend service. THRIVE CHALLENGE: Think and pray about your THRIVE offering. As an act of worship, what does God want you to give as a one-time offering and 13 month commitment on June 5th? I’m praying for you and your family to Thrive. 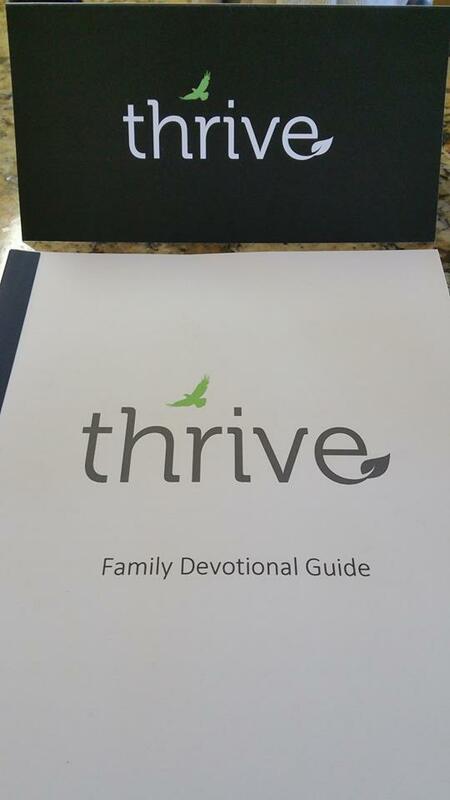 This entry was posted in THRIVE and tagged family devotion, THRIVE, worship. Bookmark the permalink.